The Lamu Port-South Sudan-Ethiopia Transport (LAPSSET) Corridor Project, touted as the “first single gigantic, integrated, transformative and game-changer infrastructure project” the Government of Kenya has embarked upon is said to lead to an increase in the GDP by 3%. Whilst such growth has the potential of being extremely beneficial to the country there has been little discussion of the costs born by its citizens, in particular the communities around the infrastructure and extractive sites. In the ecological rich and culturally diverse Lamu archipelago, the site of the mega port, the hunter-gatherer, farming and fishing communities of the area are now witnessing the projects first stage of construction and questioning the benefits and costs of such a project. 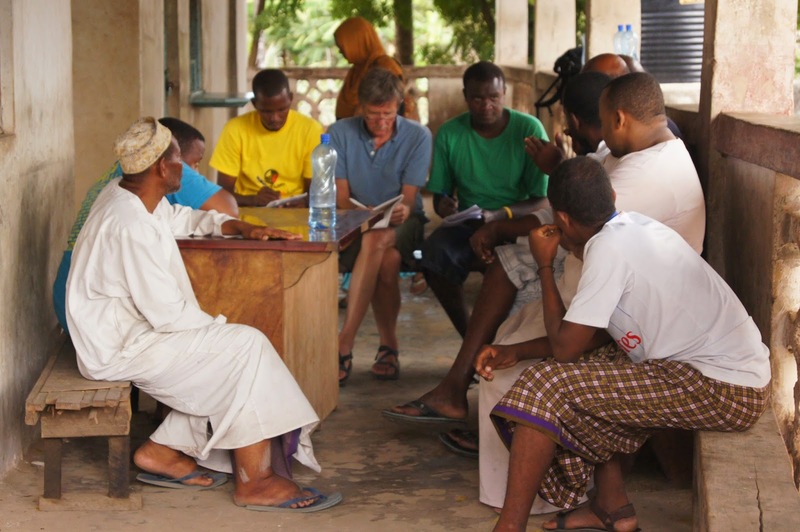 In collaboration with its partner, Save Lamu, Natural Justice is working with an international natural resource economist to assist the communities in Lamu determine the potential costs of the port on their health, social and cultural well-being. On the 11th to 16th October 2014, Members of Natural Justice Kenya and Natural Resource Economics travelled to Lamu to meet with various stakeholders, including Save Lamu, fishermen, business people and County Government representatives. The assessment will result in a report to be used by Save Lamu and members of the community in their discussions with Government to ensure a port that is beneficial to the community and environmentally sound.